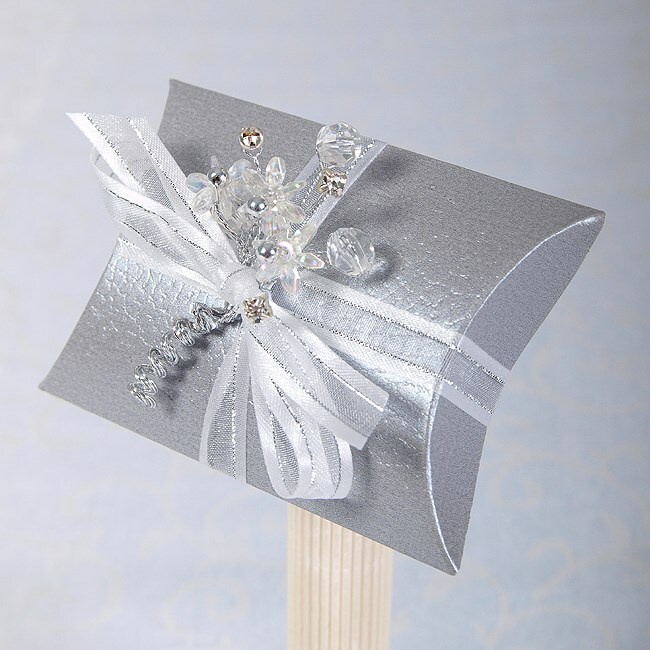 Contemporary and stylish our pelle textured effect favour boxes are a modern design featuring clear acrylic flowers with silver centres and jewels finished with stunning diamantes stems tied with white organza satin edge ribbon. Size. 7cm x 4.5cm x 5.2cm.